The Aleethia Foundation / Dinner with a view! 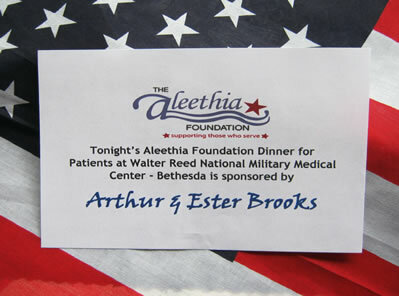 Arthur and Ester Brooks graciously hosted Aleethia’s “Friday Night Dinner” held on April 13, 2012 in the Dining Room at the American Enterprise Institute. Service members and their families enjoyed the delicious appetizers, gourmet buffet dinner and yummy desserts. The view from the 12th floor dining room and balcony provided spectacular sights of Downtown DC. Best Buy gift Cards were a hit as the door prizes were announced…also there were consolation prizes…Everyone was a winner! 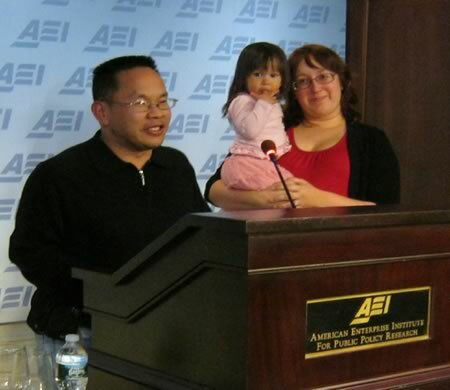 Guests included Resident Fellows, Senior Staff Members and Division Directors. Many provided books they had written and offered engaging conversations while serving as table hosts to the service members and their families. An array of books written by Lynn Cheney was presented to the children who were in attendance. 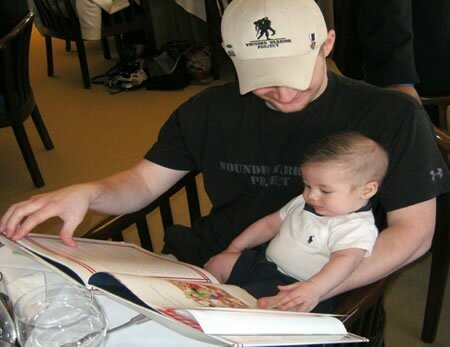 Even Connor, four months old and the youngest guest, enjoys one of Mrs. Cheney's books with his Dad! for a most enjoyable evening!!!! Tonight was a bittersweet night for the Aleethia Foundation as we said goodbye and good luck to one of the injured service members and his family as they transition to Fort Sam Houston in San Antonio Texas. 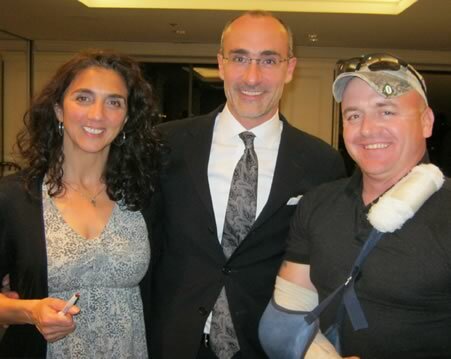 They have been attending the “Friday Night Dinners” since his injury in 2009. You will be missed!!! Best wishes in Texas!